It is easy for universities to get caught up in similar methods of attracting students and thus tuition revenue. We shift toward a homogenization of higher education, thinking that the newly-modernized dorm or student center will be the “thing” that attracts students to our campus, because this has worked for other places. We create new colleges and schools, buy more land, and place more of our courses in an online format in order to compete in this higher education landscape. While taking these actions is an understandable reaction, it is worthwhile to step back and consider what it is that makes Jesuit higher education unique, and prioritize accordingly. In his Santa Clara address, Fr. Kolvenbach noted that, “Knowledge is valuable for its own sake and at the same time is knowledge that must ask itself, ‘For whom? For what?’” Though there are several approaches universities can take to use knowledge in a way that is applicable, increasingly more universities are uniting their resources with those of their surrounding community to strive for the common good. Explaining this place-based approach is the subject of Erica Yamamura’s and Ken Koth’s Place-Based Community Engagement in Higher Education. As an urban sociologist who has worked with other staff and faculty at Saint Joseph's University to enhance our community-engaged scholarship and teaching, I found this book to be particularly helpful for universities and colleges that are seeking to begin or enhance their engagement with a specific community – typically one in which the university is located. Yamamura and Koth study five higher education institutions that represent a mixture of public and private, and Jesuit and non-Jesuit. The initiatives from these institutions range from one focused on K – college for youth in the neighborhood, partnering with businesses and non-profits along an adjacent commercial corridor, and building human capital through education and workforce training for neighborhood residents. What these initiatives have in common is that they were developed by listening to community and university stakeholders to address their mix of assets and needs, and that they prioritize reciprocity – the community and university benefit together. 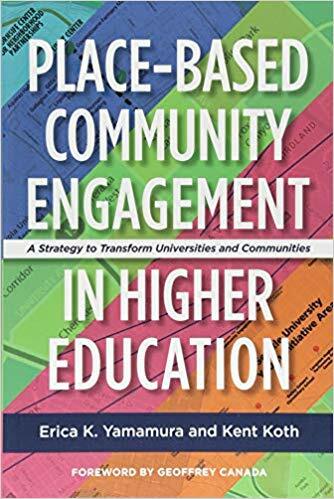 The authors lay out a road-map for planning for what this engagement might look like, building authentic and transparent relationships with community partners, analyzing the university’s commitment and capacity, funding the initiatives, and being aware of pitfalls that occur. They highlight best practices that surfaced in their analysis of the five institutions and they build the case for why universities should pursue this. Enriching learning opportunities and developing a unique niche which serves as a competitive marketing advantage are just two rationales that can be attractive to university administrators. On a personal note, I hope this book will be instrumental for my university as we figure our way forward with deepening our relationships with our neighbors. The case studies and lessons learned are written in a clear and engaging way, and offer concrete advice for pursuing place-based community engagement. For Jesuit universities and colleges, this book is a road-map for how we can play to our strengths rather than simply following the latest higher education fad. Instead, we can be relevant neighbors collaborating for the common good. Susan Clampet-Lundquist, Ph.D., is associate professor of sociology at Saint Joseph's University in Philadelphia. Saint Louis University is celebrating its bicentennial with a roster of events from religious services to lectures to exhibitions and music programs. It has also published a beautiful book that explores the history of the school, which has been a major part of the history of Saint Louis since the town was a small but bustling frontier riverboat center and before Missouri was a state. The school was founded in 1818, three years before the Missouri Compromise of 1821 made way for Missouri’s admission to the union as a slave state. Saint Louis grew and the school grew with it, living through struggles and issues, leading, sometimes compromising, trying – though not always successfully – to keep Catholic principles active. The book’s title clearly states its perspective: Always at the Frontier. From early issues of racism, through the Civil War – Missouri had both Union and Confederate armies – and wars of the early 20th century, through economic boom and bust, Saint Louis University has been a leading partner in the civic discourse. Very recently it was a leading voice for justice in the unrest arising from racial turmoil in suburban Ferguson. The volume’s text makes use of a very impressive array of background scholarship, drawing on over 160 sources. The author is Dolores M. Byrnes, a researcher, writer, and anthropologist from Northern Virginia. Helping her was Fr. John Padberg, S.J., who has taught and been an administrator at Saint Louis and elsewhere and has published extensively in Jesuit history. And the second contributing author was John Waide, a SLU graduate who has served in the archives and library there for five decades. The photos that illustrate the text are a fascinating witness to changing times and fashions and issues. From the early photos of Jesuits in their birettas to nursing students in white dresses and caps and capes to modern students in shorts and T-shirts, a visual history of changing trends and styles in American society moves through the pages of this beautiful book. Reviewed by Patrick Howell, S.J. Roth has assiduously written a masterful treatise about how we are “shunting some of the most vulnerable people in America into jails and prisons” – and why they are so mistreated once they get there. Although the overall number of people behind bars has slightly decreased in recent years, the proportion of prisoners with mental illness continues to go up. Those frequently arrested in New York, Los Angeles, Seattle, Chicago, and elsewhere are far more likely than others to have mental illness and to require antipsychotic medications while incarcerated. Along with race and poverty, mental illness has become the salient feature of mass incarceration. It’s shocking enough that one of every three African-American men will be arrested in their lifetimes, but for Americans with serious mental illness, as many as one in two will be arrested at some point in their lives. The great tragedy is that America has the resources to treat mental illness with care, compassion, and effectiveness. But as a society, we have chosen not to do so. The turning point came in 1963 when President John Kennedy signed the Mental Retardation Facilities and Community Health Centers Construction Act (90). The goal was an enlightened one to reduce institutionalization of people with disabilities and people with mental illness by building community health centers for outpatient treatment and to allow for integration of the individual within the natural bonds of affection and acceptance of one’s own neighbors and families. But the result was a terrible vacuum because the community centers were never adequately funded or built. The states emptied out their “insane asylums,” but those with serious mental illness more often ended up on the streets and from there often enough in the local jail. Their illness was further compounded by incarceration. In a chapter entitled “Destined to Fail,” Roth explains the criminal justice system, “is not only receiving huge numbers of people with mental illness, it is also getting the sickest of the sick – those who most urgently need intensive treatment” (112). Patients do best when treatment is started early; an untreated illness almost always gets progressively worse. In addition, three-fourths of prisoners with mental illness also gave substance use problems, often the result of self-medicating with alcohol or street drugs. Roth further explains that jails are run by control and coercion, precisely the opposite of what effective treatment might mean from those suffering from mental illness. Consequently, the psychological issues often worsen within a jail or prison environment. Roth’s research is prodigious. Her powerful narrative lays bare the true costs of incarcerating our nation’s mentally ill citizens. She has visited the jails and the prisons; she has documented the poignant cases of those with mental illness repeatedly jailed and often abused by the prison systems. She has talked with reformers and mental health professionals who offer superb insights into what is actually needed, but for which the political will of the civic community is sorely lacking. This book is must reading for anyone concerned about the care and treatment of those with chronic mental illness and about how our incarceration systems have become the largest psychiatric facilities in the country. Patrick Howell, S.J., is chair of the National Seminar on Jesuit Higher Education. Tsehai Publishers & The Marymount Institute Press, 2017. 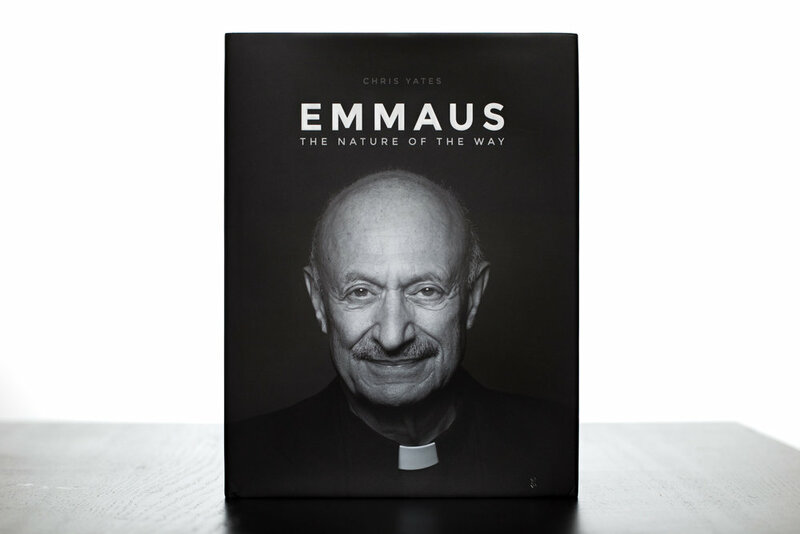 Emmaus: The Nature of the Way is a portrait of faith. It represents the dream, the talent, and the hard work of its creator, Chris Yates, a 2016 graduate of Loyola Marymount University. It portrays 22 Jesuits who are part of that university. During his college years Chris had a lot of contact with Jesuits there, but he knew that many of his fellow students did not. So he wanted to make the Jesuits better known. With the support of the Jesuit community rector, Fr. Alan F. Deck, S.J., Chris sent surveys to the Jesuits and began to take formal and informal portraits of them. He put together a team that saw this vast project through to a stunning product that was published last May. Chris, meanwhile, after graduating from LMU, worked for a year as a volunteer for the Archdiocese of Chicago. Chris structured his portraits around the gospel story of Jesus meeting two disciples late on Easter afternoon as they made their way from Jerusalem to their home in Emmaus. After a title line reflecting the gospel account (for example “The Road” or “Was It Not Necessary That the Messiah Must Suffer?”), he gives a couple of autobiographical sketches taken from the surveys the Jesuits submitted and then presents a formal portrait of those who provided these sketches. After this a series of less formal portraits of these men appears, showing them gardening, cooking, playing drums, working on a computer, just relaxing. The photography is stunning, and the whole book is a work of art. It is also clearly a labor of love. Conversations is planning to have a fuller article by Yates in a future issue. Visit the website and purchase the book at his website. There has been no shortage of complaints about the need for civil dialogue in 21st-century U.S. culture, but precious few concrete recommendations for how to bring it about. With Hope for Common Ground, Julie Hanlon Rubio has given us such a guide. Rubio’s argument is simple: Christians should shift their efforts for social and political change toward the “middle space” between politics and ethics. While many Christian churches have come to see the importance of advocating for structural and systemic justice, such sweeping reform is often not possible in our politically polarized times. Rubio argues that Christians can be more effective at finding common ground in the “middle space” – the rich associational life of schools, parishes, neighborhoods, and towns. Rubio elaborates upon and extends these claims through four examples: the family, poverty reduction, abortion, and end-of-life care. The book’s strengths are many. Both of the back cover blurbs call the book “balanced,” and balance is indeed a great quality of the work. Rubio’s arguments are remarkably judicious and even-handed throughout, and she applies the “supposition of charity” effectively to engage with and take the best from all kinds of scholars, from Stanley Hauerwas to Charles Curran. Rubio’s valuable emphasis on meso-level phenomena is itself a great example of her balance. Modern political and ethical theory are typically caught between the individual and the collective, but Rubio’s work is neither a conservative flight from culture nor a liberal embrace of the omnicompetent state. Perhaps atroot this balance reflects the deep theology of hope that undergirds the work: Rubio is not driven by fear, but is rather realistic about obstacles and difficulties and aware of the power of sin. She is also not animated by unrealistic optimism but deeply committed to Christian hope. This practical embodiment of hope may be Rubio’s greatest gift to the reader. Rubio must also be credited for articulating expertly important tensions and trade-offs any publically engaged theology must negotiate. In a number of places in her book, for instance, she tackles the relationship between being effective in the world and being faithful to one’s religious beliefs. Without denying the deep tensions between those two mandates, she finds ways to show how they can and ought to be in harmony. Similarly, her discussion of cooperation with evil dovetails nicely with her treatment on social sin: while conservatives need to learn to accept some measure of material cooperation with evil, many liberals will need to see that the roots of social sin are indeed personal. No book can address every issue or anticipate every question, and so the following remarks ought not be taken as criticisms of Rubio’s project. First, while Rubio calls into question simplistic assumptions about the role of political advocacy, she never specifies the relationship that her “middle space” bears toward politics and the individual. What is that relationship? Although one might think that she has a “wedding cake” metaphor in mind – three discrete layers on top of each other – one could further specify and complicate her model by asking how the three levels in fact interact. I was left wondering, for instance, if Rubio thinks the cultivation of common ground in the middle space would promote civic virtues at the personal level that would redound to the benefit of our politics, and perhaps promote initiatives that would lead to politically viable structural reforms. Second, and in a related vein, Rubio’s concern for the “middle space” lends itself to a discussion of subsidiarity, a principle of Catholic social thought that tends to be associated with the right more than the left. Rubio tends to approach subsidiarity from a pragmatic point of view, i.e., the political and the individual have failed. But she thereby at times sells short the principled reason to embrace mid-level associational life, and perhaps also thereby passes up an opportunity to regain a “common ground” approach to subsidiarity that challenges devolutionist models of subsidiarity and left-wing solidarity. Third, Rubio raises the question of the nature of the common ground in a practically helpful way, and her project could be pushed further in that direction. While Rubio avoids overly theoretical formulations, her procedure naturally lends itself to thought on what practically the common ground looks like. Her chapter on abortion, for instance, attempts to find common ground between the “pro-choice” and “pro-life” camps. But the “common ground” in this case cannot be the mean between two irreconcilable policy positions. She acknowledges this and urges us to look at the purposes and goals behind those polarized positions, helping us to find ways to locally achieve those goals. But how do the actors involved begin to reconceive their priorities in terms of those meso-level goals? How can common ground be cultivated at that level in a way that overcomes decades of memories, pain, and frustrated desires from national-level advocacy? 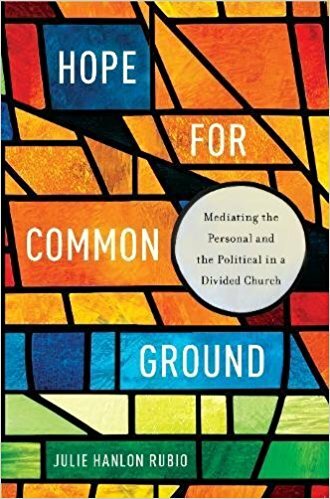 Hope for Common Ground will be of great interest to anyone interested in the spiritual and political dimensions of our times, and we need it now more than ever. Bill McCormick, S.J., a scholastic of the UCS Province of the Society of Jesus, is a regent at Saint Louis University in the departments of political science and philosophy. Arrupe College of Loyola University Chicago opened its doors for classes on August 17, 2015. Its initial student body of 159 young people had already completed a three-week Summer Enrichment Program to help get them ready them for college work. The students were of various ethnic backgrounds, but common to all of them was that they would probably not qualify for and certainly could not afford a traditional Jesuit liberal arts education. Come to Believe is the story of how Arrupe College came into being and its first year, told by its founding dean Fr. Stephen N. Katsouros, S.J. But it is far more than a simple account of dates and structures. It is a story of mission, a story of devotion, a story of faith. The college was designed as a two-year college leading to an associate’s degree. So far, that describes a standard community college. But the mission of Arrupe College goes far beyond that basic description. The students come from tough areas of Chicago and from often challenging backgrounds. They arrive with great energy and good will but without a family history of much education, let alone higher education. These are students who could hardly have imagined going to college, and suddenly the opportunity is theirs. 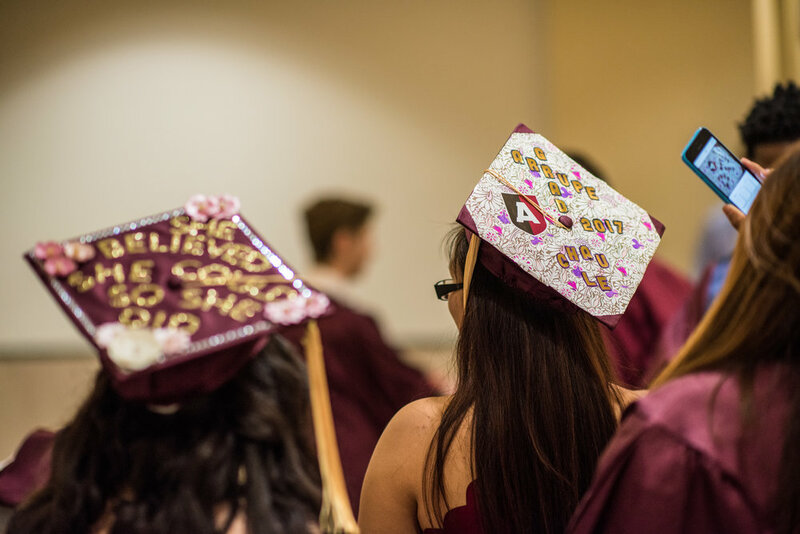 Photos of Arrupe College of Loyola University Chicago's Inagural Graduation, August 2017. All photos are featured courtesy of Loyola University Chicago. Father Katsouros sees Arrupe College as a new step in a development in Jesuit education that began in 1970 with the Nativity Mission and Center in Manhattan; this began providing elementary education to at-risk young people. Then in 1996 came the first Cristo Rey school in Chicago for secondary education. Arrupe College now opens up opportunities in higher education. 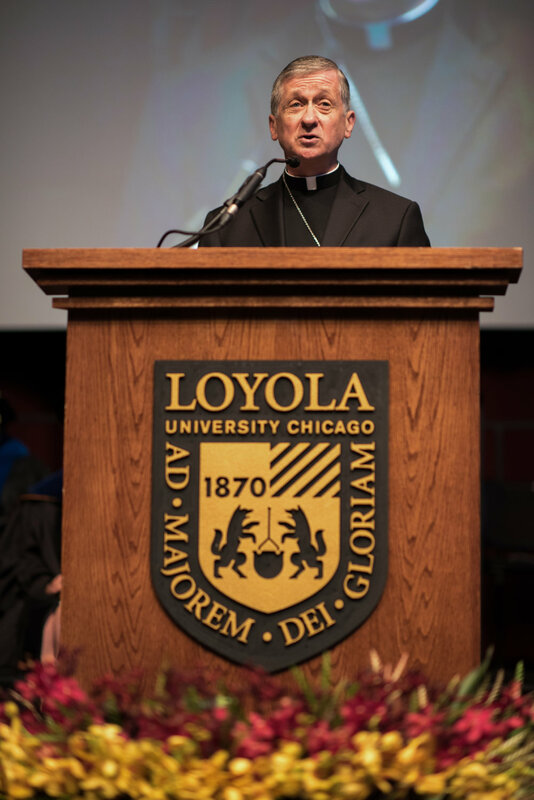 The spark that started the school was an address by Jesuit Superior General Adolfo Nicolàs in Chicago in 2013 that challenged the U.S. Jesuit higher education leaders. He praised and endorsed the work in higher education in general but was concerned about how to include those students who could not afford Jesuit higher education. This started Loyola Chicago’s president, Fr. Michael Garanzini, S.J., thinking. He brought Father Katsouros on board in 2014, and Arrupe opened its doors in 2015. That may sound straightforward, but there were many meetings, tough decisions, persuasions – just plain hard work – along the way. Father Katsouros built up an impressive staff and an impressive board. It worked. Come to Believe is, as stated above, a story of mission. Schools generally have a sense of mission, of course, but here that mission is very public, very explicit. It wants to make radical changes in the direction of young lives. It works hard to get its graduates into four-year colleges or into the job market. Its work does not end after two years. The place of faith, of prayer, of the spiritual abounds in the book. The odds that the students face in daily life and the obstacles that the faculty and staff face in helping the students confront those odds are immense. They include gangs and shootings in the neighborhoods, loss of Illinois State grants, students being thrown out of their homes. Many are undocumented. How do faculty support students who begin to fail? Everyone at Arrupe College has to believe in the students, in the staff, in the future, in the mission. The students too teach the teachers a lot about life in the struggles they face. All of Jesuit higher education is filled with people who believe, who work hard, who achieve the mission. This is in no way unique to Arrupe College. All the schools built on founders’ hopes and dreams. But at Arrupe the stakes are high and alternatives few for these very fortunate students. Arrupe College has already made a difference and is a worthy addition to higher education in the Jesuit tradition. Father Katsouros and his collaborators in mission have made a magnificent start. 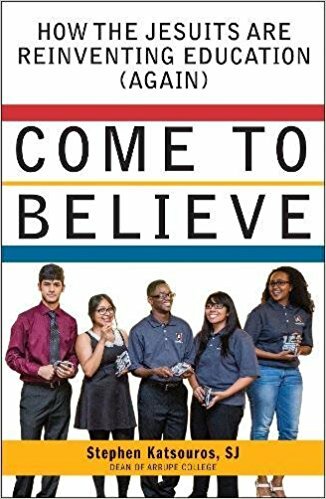 Come to Believe is a powerful testimony to what Jesuit education can achieve. 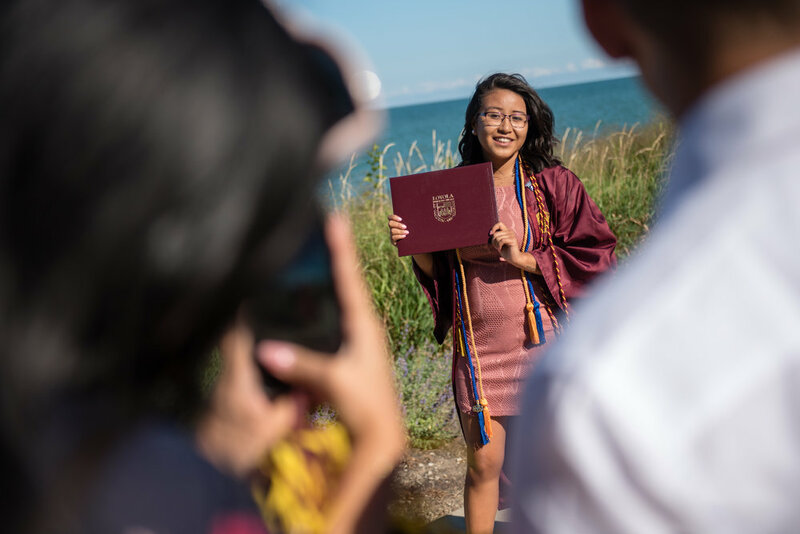 To learn more about Arrupe College of Loyola University Chicago's inaugural graduation, read Eric Immel, SJ's The Jesuit Post article here. “Eloquence,” as defined by John O’- Malley, S.J., in the foreword to this collection, is “to mean what you say and to say what you mean – and to say it with grace, accuracy, and force.” Eloquence, or eloquentia perfecta, is a key outcome of Jesuit rhetorical practice, but as noted by editors Cinthia Gannett and John C. Brereton, the influence of this Jesuit twist on classical rhetoric, and by extension its influence on the Western system of education, has been neglected in contemporary scholarship. These essays are a first step toward rectifying this omission. The text is primarily the work of a consortium of rhetoric and composition scholars from across the 28 Jesuit colleges and universities. They have created an ambitious exploration of the order’s investment in education in the area of rhetorical theory and practice and of how that history is manifested in the work of contemporary rhetoric and composition programs and classrooms. Organized in a loose three-part structure, each contribution can be read as a part of a whole or as an independent piece. Section One features essays linked through the use of history as a lens. Such a large framework allows for conversations that include the specific rhetorical moves made by St. Ignatius in his autobiography and the Spiritual Exercises, the adaptation of classical rhetorical training by the Jesuits, the changing role of liberal education and Jesuit training, the relationship of the “Black Robes” to women’s religious orders in early North American educational institutions, and a comparison between rhetorical training historically and currently offered at the College of the Holy Cross and at Sogang University in South Korea. Although somewhat counterintuitive, that last one is actually the first essay in the collection. Written by Patricia Bizzell, it masterfully sets the tone for the entire text, establishing historical context while also discussing current affairs. Allowing for the largest possible audience, the introduction to each section and at least one essay in it provide a coherent chronological,theoretical, or pedagogical overview for those entering new territory or who need a helpful reminder/map of this intellectual terrain. The remaining sections are narrower in scope but continue the pattern of establishing the conversation, breaking it into smaller parts and then expanding again into a larger consideration of the theme. Section Two covers the post-suppression era in Jesuit education in the United States, starting with three excellent chapters written by the editors and by Steven Mailloux and Katherine H. Adams respectively, which review the history of rhetoric and writing studies in what has become the AJCU. These are followed by essays which showcase exemplar scholars who are irrevocably tied to the tradition: Walter Ong, Ed Corbett, Bernard Lonergan, and Paulo Freire. The section ends with a forum section of rhetoricians briefly reflecting of the importance of their Jesuit education. Building on the momentum of those who influenced or were influenced by the tradition, the third section examines the application of Jesuit rhetoric through a discussion of eloquentia perfectia as translated in today’s pedagogies. The voices gathered here include some of the most respected in the field, for example, John Bean, whose Engaging Ideas is canonical in the discipline. Some essays focus on the circumstances found at specific universities that have larger application for other Jesuit institutions. K. J. Peters’s discussion of the core curriculum at Loyola Marymount and others, like Vincent Casaregola’s fascinating reconsideration of what “voice” means in a digital world, have implications for all who teach. The text closes with an Afterword by Joseph Janangelo. Titled “Technology, Diversity, and the Impression of Mission,” it brings the discussion full circle, considering where the tradition, always intertwined with the Jesuit mission, is going as it is increasingly transferred to lay faculty who must accompany 21st-century students into new spaces and places. The essays form a wondrous cacophony of ideas and individual styles. The effect is attending a large party with fabulous guests, each talking passionately about the subjects which they most care about. Such a wide-ranging conversation can cause a bit of alienation, even with the built-in moorings for the uninitiated. Those who have never been to this particular party may anticipate that the text will be awfully dry and boring. Fear not. One the advantages in joining these conversations is that they are led by men and women who at their core are teachers, teachers who are experts at making the kind of rhetorical moves that can captivate an audience. It is worth the effort to engage with this work and to consider what the next steps in such scholarship might be. After all, these skilled rhetoricians have cultivated in their own writing, and in their work with their students, eloquence. Laurie Ann Britt-Smith, a former member of the Conversations seminar, is now the director of the Center for Writing at the College of the Holy Cross. Christian, and secular cultures. Within a cross-cultural and interreligious context, the articles in the collection explore themes of memory, trauma, and restorative justice. Perhaps what is most strikingabout the book is simply the nature of the project. Cross-national collaborations are never easy and are often fraught with challenges with regard to logistics and language. But this multinational project involves regions that are tremendously diverse, with great differences in scholarly traditions, national experiences, and the history of the church. The topics and approaches of the 23 chapters emerged from a series of three annual meetings, involving extensive discussion among the scholars from the four regions, as they explored areas of commonality and of divergence. The collection represents work from 14 academic disciplines and four different religions. Working collaboratively, the editors and contributors sought to identify the critical issues to be addressed in light of the seismic changes taking place globally in regard to political participation and empowerment, and the role of religion and the Catholic Church in particular. At the same time, the contributors draw on the distinctive qualities and aspects of each culture – ranging from the narrative of the trauma of Sept. 11, 2001, in the United States to kethoprak theater in Indonesia. The questions explored within this collection – or suggested as a direction for further consideration – reflect the multidimensionality of the enterprise. What might be the distinctive role of the Catholic Church in matters of public concern, given the considerable differences in the kind of space it occupies in difference cultures? In Latin America, the church had a formative role in shaping the colonial legacy of the continent. This was in marked contrast with the Catholic Church in Lithuania, which was marginalized and suppressed under the atheist state of the Soviet Union. And it contrasts again with the role of the Church in predominantly Muslim Indonesia. What might Catholic social teachings have to offer the analysis of class divisions, incarceration, and labor in such diverse contexts? How might the Catholic Church contribute to public discourse on the environment and the rights of the indigenous in the Amazon? Certainly many of these questions and themes are not new. But Democracy, Culture, Catholicism makes it possible to consider them through such different and intersecting frameworks that there is a sense of looking through a kaleidoscope: the book offers us so many different lenses to look through that each theme in turn comes to take on a vivid set of new possibilities. In addition, this book suggests a methodology that might fruitfully be employed in other initiatives as well. In convening dialogue among collaborators of such diverse backgrounds and interests, the project of simply working together to understand with clarity the viewpoint of another is fully as important to the process as the particular chapters that were the outcome. Democracy, Culture, Catholicism is a rich and engaging collection that has much to offer those who might want to explore the role of the Catholic Church in the rapidly changing international landscape of politics and culture. At the same time, it challenges its readers to consider the limitations of their own perspectives, and to seek ways to transcend them. Joy Gordon is the Ignacio Ellacuría, S.J., Professor of Social Ethics at Loyola University Chicago. Reviewed by Stephen Pitts, S.J. Jeffrey Sachs is no stranger to large problems or grand, sweeping claims. His latest work, endorsed by none other than the U.N. Secretary General, seeks to explain the “central concept for our age,” sustainable development. The “age of economic growth” began in 1750; up until then, the entire human race lived at the subsistence level, and inequality did not exist. Thomas Malthus predicted imminent catastrophe: exponential growth in population could not keep up with linear growth in agricultural production. Malthus failed, however, to anticipate the Industrial Revolution, by which technological advances boosted industrial output and increased agricultural production. But they came at a cost that still resonates today: large-scale migration, environmental degradation, and rising inequality. Sachs’s work reflects recent trends in economics: this year’s Nobel laureate, Angus Deaton, pioneered the use of empirical field research to address questions in development. The first few chapters trace the history of economic development while subsequent chapters summarize the latest research on particular issues: geography, education, health, agriculture, poverty, social inclusion, cities, and climate change. Both The Great Escape (Deaton) and Poor Economics (Banaerjee and Duflo) treat a comparable range of topics, though Sachs alone deals with environmental issues. The work brings together material from an online course; the abundance of color pictures and lack of footnotes give it the feel of lecture notes whose enthusiastic tone aims to inspire the reader to change the world by the end of the semester. Sachs proposes an “analytic and normative framework” to address sustainable development. On the analytic side, since World War II, a succession of models has aimed to explain the remarkable disparity between growth rates and outcomes in a variety of countries. Initially, the models looked for a key external (exogenous) factor of production that could be added to an economy. Whether from a developed country or an NGO, development aid of this sort meant infrastructure improvements. The limits of this sort of capital infusion soon emerged; factories sat idle without raw materials, schools languished without students, and roads led to nowhere. In response, recent work has acknowledged the necessity of human capital, such as education and women’s rights, and social capital, like functioning legal and financial institutions that people trust. Sachs uses complexity theory to analyze four interconnected systems: global economy, Earth systems, social interactions, and governance. Sachs’s breadth of experience and command of examples past and present leaps out from every page. Many of the chapters end with specific policy prescriptions; in fact, the book’s final chapter describes a set of Sustainable Development Goals that parallel the Millennium Development Goals. The Millennium Development Villages in Africa provide a concrete example of the sort of multipronged intervention that he proposes: ten villages in ten different sub-Saharan African countries in which Sachs and his team implemented programs to address all eight MDG at once over the course of ten years. The glowing account of the MDV does not mention the tremendous controversy that they have raised among Sachs’s academic peers, who contend that basic errors in his experimental design have invalidated his evidence for the effectiveness of the interventions. As in clinical trials in medicine, the increasing use of randomized controlled trials in development economics necessarily involvesethical questions. On the one hand, can researchers withhold treatment for a disease like malaria from one village but not from an adjacent village in order to establish a control group? On the other hand, can researchers compensate participants, like those in education interventions who would otherwise not send their daughters to school? The ethical questions that development entails certainly should not dissuade Sachs from pursuing his work. Still, it is surprising that in his 500-page book he devotes merely seven pages to ethics, a cursory survey of six different rationales for the importance of “social inclusion,” into which he subsumes most of Enlightenment political philosophy. The section ends with the laudable remark that “we therefore need to have more discussions, more public awareness, and more debates about these underlying ethical choices, because the goals of sustainable development depend on the ethical positions we adopt.” Unfortunately, the book does not deliver on its claim to offer a “normative framework.” It neither engages colleagues like Deaton who differ on the finer points of aid nor those who question the existence of any obligation of the rich toward the poor at all. Paul VI remarked: “technical expertise is necessary, but it must be accompanied by concrete signs of love.” The technocrat Sachs could learn from his words. Stephen Pitts, S.J., is beginning his third year of theology studies at the Jesuit School of Theology of Santa Clara University; throughout his Jesuit training he has had a special interest in spirituality and spiritual direction. Reviewed by Edward W. Schmidt, S.J. Jesuit history became a hot scholarly topic roughly two decades ago. Culture, art, dance, scholarship, science, and many other specific fields received scholarly attention and publication. Major conferences were held in 1997 and 2002. The interest has not abated. Most of this scholarship concentrated on the Society of Jesus before its suppression by Pope Clement XIV in 1773. This was the age of the pioneers, the saints and martyrs, the missionaries, the founders. In these centuries after their founding in 1540, the Jesuits started hundreds of schools, wrote grammars for exotic languages in far-off lands, patronized major artists and architects. All the while they tended to pastoral care of the people they served with retreats, sermons, and spiritual writing. And they left copious records that modern scholars found fertile ground for new research. Catholic populations. Jesuits from Switzerland, Belgium, France, or Italy came to the United States as missionaries. Many of them hoped to work with the native peoples but soon found themselves working with the Catholic immigrants who were flooding the country. And many ran afoul of the dominant Protestant culture. American Jesuits and the World is a careful study of this world. After a thorough look at how Jesuits were received with suspicion and hostility (chapter one), it tells the stories of four regions of the country, beginning with a study of one individual and expanding its narrative from there. In Maine, Fr. John Bapst, originally from Switzerland, provoked some local people who in 1854 captured him and tarred and feathered him. This chapter studies the issues that provoked this violence and how Father Bapst survived. It raises issues of religion in schools and state funding for education. Chapter three focuses on Fr. Ferdinand Helias, a Belgian Jesuit. Father Helias was one of many exiled European Jesuits who headed to St. Louis, and he taught at St. Louis University before heading out to the center of the state for missionary work. He worked hard to maintain his mission, negotiating local hostilities between supporters of the Union and of the Confederacy during the Civil War. Here too state support for education was a big issue. Hostility towards the Jesuits was rampant, stirred up by writers and orators and a German-language newspaper. In chapter four a young novice of the Sacred Heart sisters was close to death. Her sisters prayed to Bl. John Berchmans, a 16thcentury Belgian Jesuit who had died very young, and she was cured; everyone was astonished for she had been very close to death. The Jesuits at nearby St. Charles College provided pastoral care for these sisters. Religious sisters were a vital part of Catholic education in the United States. Devotions and politics merge in this chapter. Chapter five centers on Fr. Burchard Villiger in Philadelphia, another Swiss exile, who built the Gesu Church and St. Joseph’s school, which developed into today’s St. Joseph’s Prep and St. Joseph’s University. This chapter delves deep into issues of education and adaptation to evolving demands of schooling in the United States. It is a fascinating study of what provoked these changes and how traditions adjusted to new circumstances. It wasn’t easy. The sixth chapter studies U.S. Jesuits becoming missionaries in the Philippines, where they brought their U.S. educational ideals. A concluding chapter is an insightful look at on how all of this history affects who we are today. The author has a masterful control of the sources, from drawers and files in archives, from printed journals and books old and new; the very last of over a thousand endnotes references three websites. By centering the chapters on a single person or incident, he weaves a narrative that sets the context, examines the issues, and helps the reader to see that whatever problems and issues we face today have been encountered before in some fashion. But the author’s style is very accessible and engaging; for all its scholarship the text does not get bogged down. This history is wider than just Jesuit history. It includes the social contexts in which Jesuit schools grew up. It considers how education is funded and the tensions between public and private schools. In the wider context it touches on issues with immigration, how mainstream Americans recoiled at the numbers of poor, uneducated immigrants – Catholics! – flooding in from places like Ireland and Italy. Any parallels today? And the reader can see how ideals that we make explicit today such as high quality of instruction and care for the whole person in mind, soul, and body developed from a lot of hard work in very tough circumstances long ago. This book gives a lot of information but also can set the imagination loose to see that whatever challenges the Jesuit schools face today, we can face them as earlier generations did with our own resources of competence and resolve.